It's a high-power electric locomotive which will be used to haul freight trains at twice the existing speed by next year. The first such locomotive, estimated to cost about Rs 30 crore. New Delhi: India's dream for high horse power locomotive moved closer to reality with the arrival of the first bodyshell of 12000 HP loco from Alstom France at Kolkata port on Wednesday. This first-of-its-kind high-power electric locomotive will be used to haul freight trains at twice the existing speed by next year. 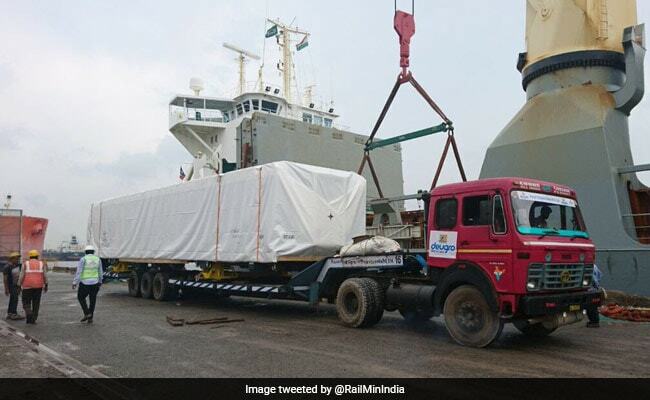 The bodyshell for the fleet of the twin-section electric locomotives which Alstom is to supply to Indian Railways was unloaded at Haldia, ready for delivery to the factory at Madhepura where it will be assembled. In November 2015, the public transporter inked a contract with the French company to manufacture 800 such train engines over the next 11 years in a joint venture at the Madhepura locomotive factory in Bihar. This is the first major FDI (Foreign Direct Investment) project in the rail sector. The first such locomotive, estimated to cost about Rs 30 crore, will be assembled with components brought in from Alstom's factories in France and will have its trial run by February next year. The contract allows for the first five locomotives to be imported, but the remaining 795 are to be manufactured locally in support of the government's Make in India campaign. The total contract is worth above three billion euro. This project includes the set-up of a plant at Madhepura (Bihar state) and two maintenance depots at Saharanpur (Uttar Pradesh state)and Nagpur (Maharashtra state). The delivery of the locomotives will spread between 2018 and 2028. The locomotive will run at a speed up to 120 km/h. The Railways is currently using 6,000HP locomotives for freight services. 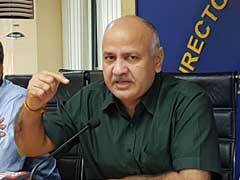 The increase in speed would also result in improving line capacity in the rail network, a railway official said. As per schedule, 35 locomotives would be rolled out from the factory by 2020, 60 in 2021, followed by 100 every year till the target of 800 is completed.